The new Kirk and crew must figure out the secret of the evil Krall before he destroys the Federation. The film picks up with Captain Kirk (Chris Pine) and the crew of the Enterprise already three years into its five-year mission. Kirk is growing weary of one diplomatic mission after another and is considering retiring from the monotony of space travel. Spock (Zachary Quinto), on the other hand, has his thoughts focused on the remaining members of his species. After receiving bad news from New Vulcan, Spock is also considering retiring to help with the proliferation of his people. The setting of Star Trek Beyond is the massive space station, known as Yorktown. Created inside a protective sphere, this space “city” holds millions of people from a vast variety of alien races, which comprise the current Federation of Planet. Trouble stirs when an alien ship approaches the space station and its captain requests the help of the Enterprise to rescue its crew abandoned on the other side of the nearby nebula. With Federation approval, the Kirk and crew agree with assist with the rescue and upon arrival the crew finds itself in the middle of a sneak attack from the villain Krall (Idris Elba). Forced to abandon ship, the Enterprise crew is separated. They must find away to regroup, figure out who Krall is and how to return to the Yorktown and warn them of Krall’s plans. Star Trek Beyond gets the crew of the Enterprise beyond its origins highlighted in the first two films. It shows the new crew of the Enterprise fully engaged in the original mission of the series of seeking out new worlds and civilizations. Star Trek Beyond’s main plot is an attack on that mission. It starts with Captain Kirk trying to broker peace between two warring species and ends with Krall trying to put an end to the growing expansion of the Federation. Star Trek movies have succeeded when the film are not 2-hour episodes, but more an action adventure with high stakes. They work when the consequences of failure are dire. For Star Trek Beyond, they’ve succeeded in finding the balance and creating a high-stakes, high-adventure, 2-hour episode. Writer Simon Pegg uses the attack on the Enterprise to split the crew up and force the volatile pairings of Kirk/Chekhov/Scotty, McCoy/Spock and Uhura/Sulu to grow, develop and work together to overcome their impossible situation. The strength of the successful Star Trek movies, including this one, have always been the crew. When most of the film focuses solely Shatner or Stewart, it fails because, as fans, we love the individual members and want to see everyone get their fair chance at saving the universe. Star Trek Beyond also succeeds because the story is clover, the action makes sense for the most part and the nostalgic reasons we love Star Trek are also there. I also like that we’re finally engaged in the voyages of the starship Enterprise. Star Trek is a good film and should appeal to casual fans and Trekkies alike. There are only two moments that fell flat. The first is the opening sequence, when Kirk is brokering peace between two alien cultures. The moment is basically a comedic gag and played solely for laughs. Yes, it was funny, but that is the wrong tone to start a Star Trek film. It presents the movie as a comedy right off the bat, when film is clearly meant to be more than light fun. The second moment is the first attack on the Enterprise by Krall. The segment just went on too long. Director Justin Lin tells a great story here, but the entire attack segment just won’t end. The action sequence feels like it goes on forever and you have to let audiences breathe once in a while. Overall, Star Trek Beyond has found a place on the mantle of Star Trek movies. What’s missing is a sense of importance that the best Star Trek movies have to the Star Trek universe. Star Trek Beyond is fun but not profound. 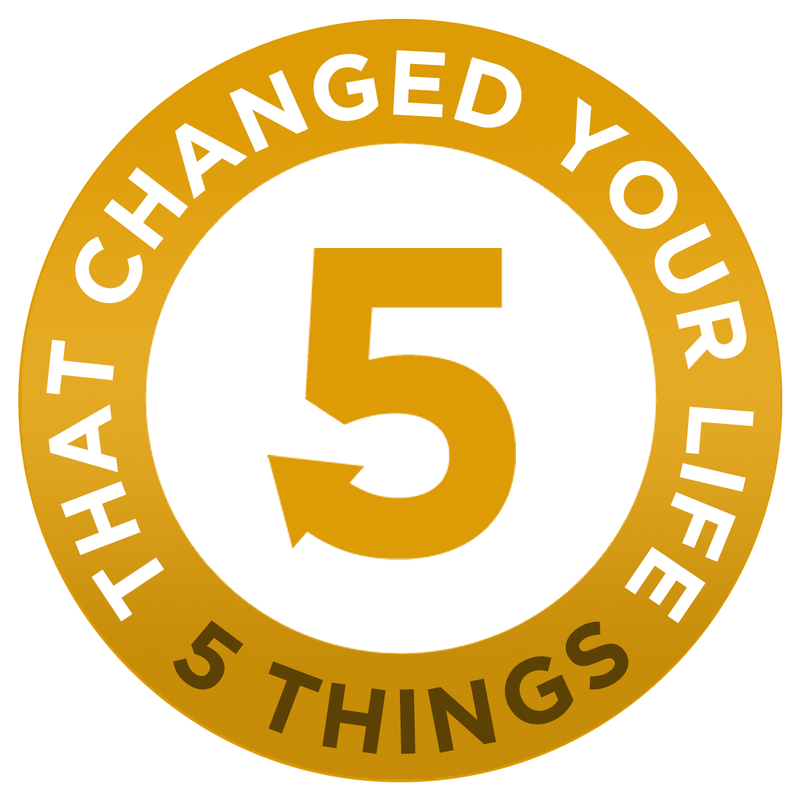 If my life is not busy enough, I just gave birth to a new podcast called “FIVE Things That Changed Your Life.” I serve as the podcast’s producer and occasional voice in the background. 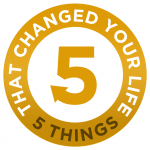 My friend, Loren Kling, serves as the host and he talks to people about the FIVE Things That Changed Their Lives. It is currently available on iTunes and Google Play. We should be on Stitcher any day now. The first episode is available now and features Film Expert and TV Host, Chris Gore.